Increasing the levels of fish extraction from the seas around St Vincent and the Grenadines is not to be confused with overfishing. During a signing ceremony for Japan grant aids which included a project for the improvement of fisheries equipment and machinery, Caesar declared that the country needs to increase levels of extraction of fish from the seas and develop better landside facilities. âThe statement I made about the extraction of fish from the sea is within the general framework of exploring our resources within our territorial waters,â Caesar said. The minister, who on many occasions has stressed the importance of producing and eating local products, highlighted that food security is critical to the people of the nation. To this end, Caesar outlined some steps that his ministry has put in place to ensure the increase in food security. âWe have to definitely increase our production of fish and fish products from St Vincent and the Grenadines. âWe had as a Government, a programme, a six million dollar facility, for a fleet expansion programme. We would have utilised about $1 million and only about two or three fishermen would have come forward. The objective of that programme is still very much alive and we are really working with the private sector to see how we can increase the extraction of fish from our waters. âThis definitely will have to dovetail with the work that will be done at the fisheries centres and the upgrading of these fisheries centres. 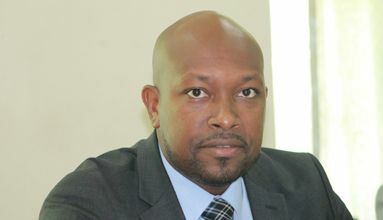 This is all within a general partnership framework that we are working on currently with the private sector to see how we can co-manage the fisheries centres,â he said.